This past weekend we travelled to the tranquil pastures of Lincolnshire, a county at the very heart of Britain’s aviation history. 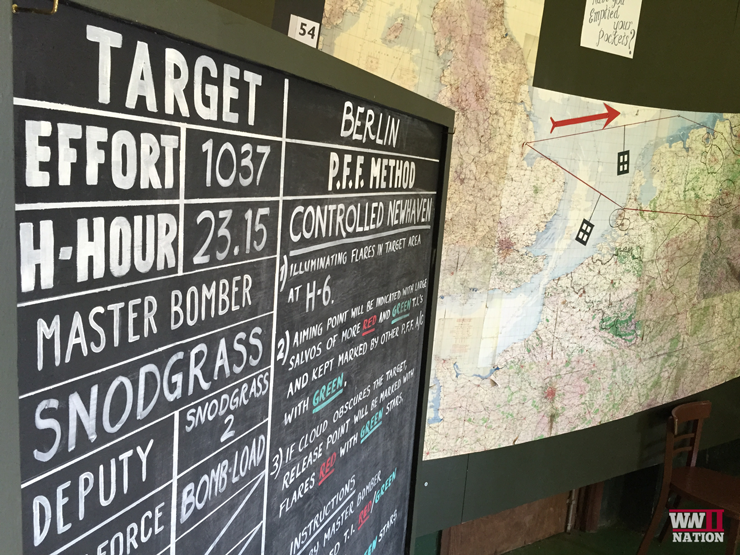 At the height of the Second World War there were over 46 military airfields active in Lincolnshire! Arriving quite late on the Friday evening following a long drive there, we requisitioned our billets for the extended three days of filming at the grand and iconic Petwood Hotel, formerly home from 1942 – 45 to the officers of 97, 619 and later 617 squadron of Bomber Command who stayed here and flew from the nearby airfield at Woodhall. In the heart of the idyllic Lincolnshire countryside, the Petwood Hotel is a traveller’s paradise, excellently positioned to easily and quickly explore all of these incredible historical locations. From our own point of view of filming it was fantastically located as over the next 3 days the very longest of journey times we had to make was a mere 25 minutes to our location! 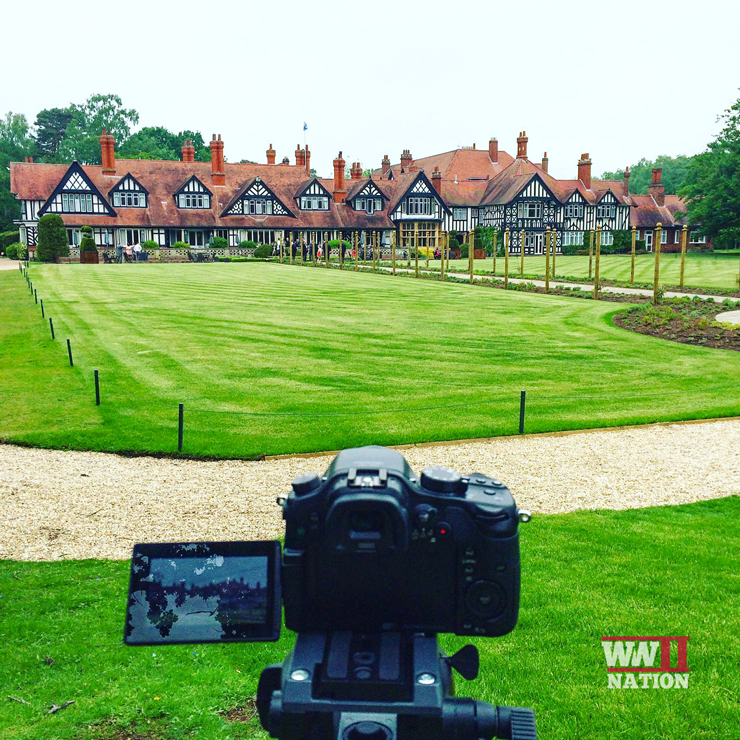 On our first full day of filming, we explored the Hotel’s grounds that many of the officers such as the likes of Les Munro from 617 Squadron use to relax and unwind in, playing croquet, tennis and even swimming. A large portion of our time was spent visiting the Officer’s Mess, which has an incredible array of information, items and artifacts connected with the squadrons whose officers were billeted here. We also visited the former Bomber Command base of R.A.F. Metheringham. 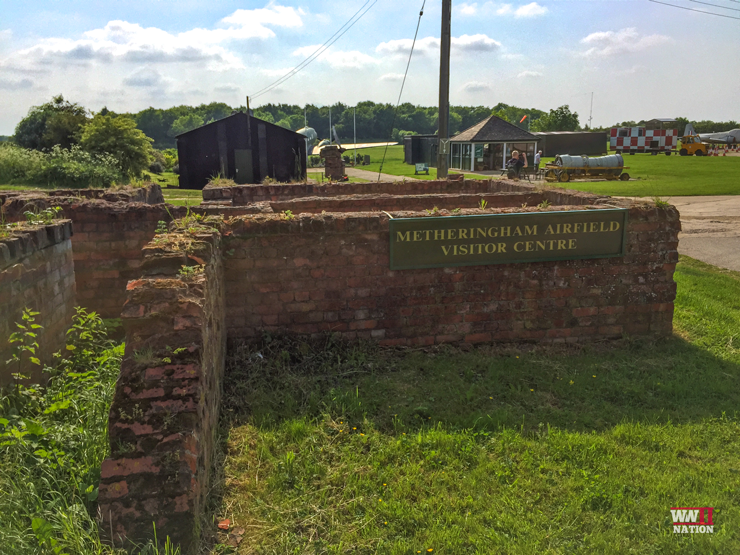 Opened in November 1943, Metheringham was permanent home to 106 Squadron during the war, who flew over 200 operations from here. We were given a very warm welcome and also a terrific tour of the centre by one of the trustees and guides, Jeff Williams. Day 2, following another excellent full english breakfast, enjoyed inside the setting of the Officer’s Mess at Petwood, we visited a mystery location, which shall be revealed in the first episode of our new WW2 Nation Video Magazine Series. From here we ventured to the very old (dates back to the 1200s!) 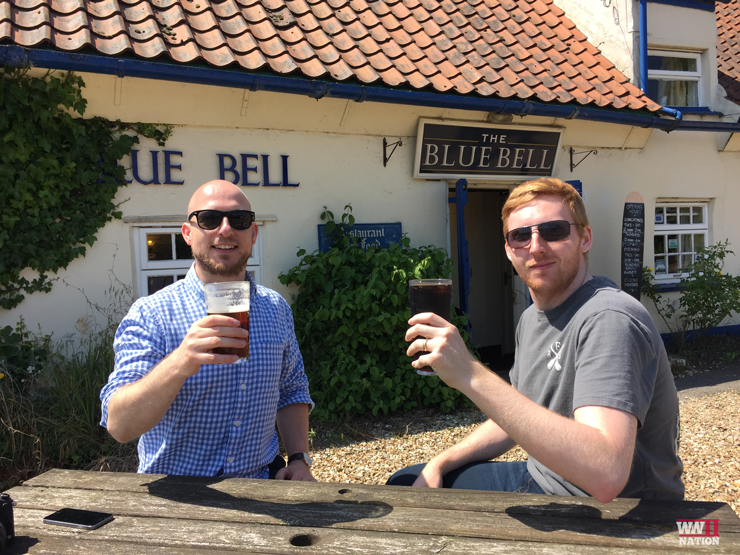 and famous Blue Bell Pub to enjoy a much needed and refreshing drink. The Blue Bell was used by many R.A.F. crews during the Second World War, being located very near to the airfield at Woodhall Spa, which was in fact our next and final destination of the day. 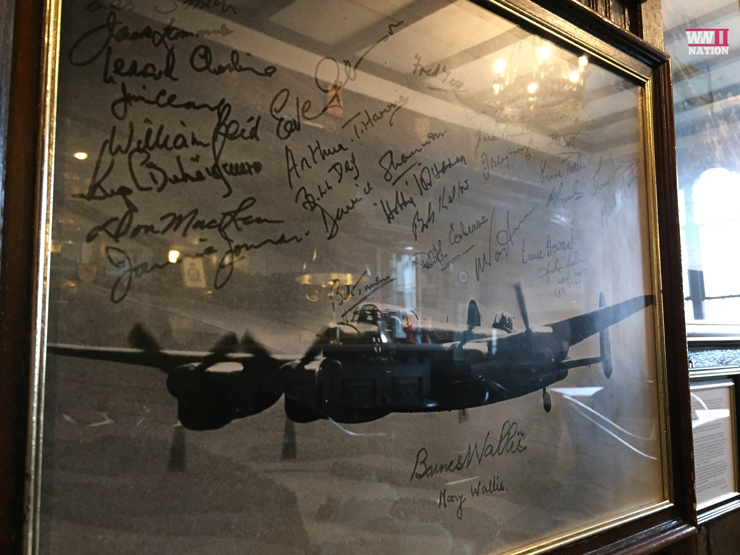 Being merely a few minutes walk away, it is quite easy to see why many members of 97, 619, 617 and 627 squadrons who were based here at one time or another would frequently visit The Blue Bell on their time off. 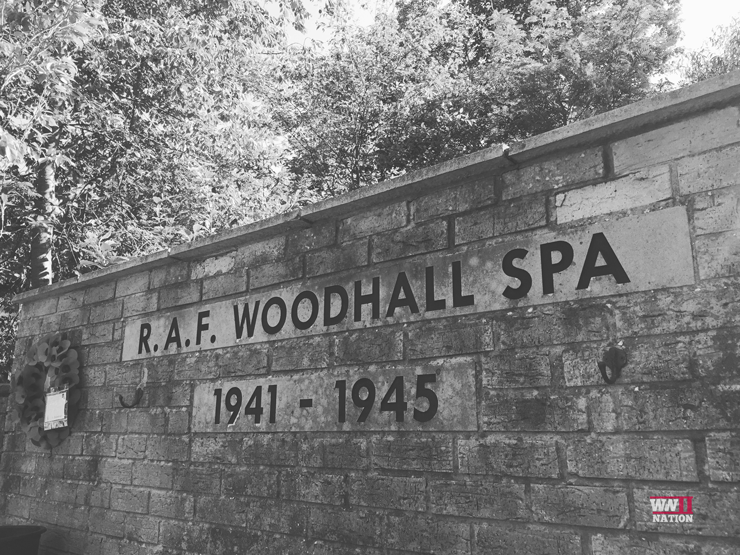 The former No.1 Communal Site for RAF Woodhall Spa, built in 1940 and meant to last just 10 years, today many of those buildings house the Thorpe Camp Visitor Centre with an impressive array of exhibits on display commemorating all those who served from here. 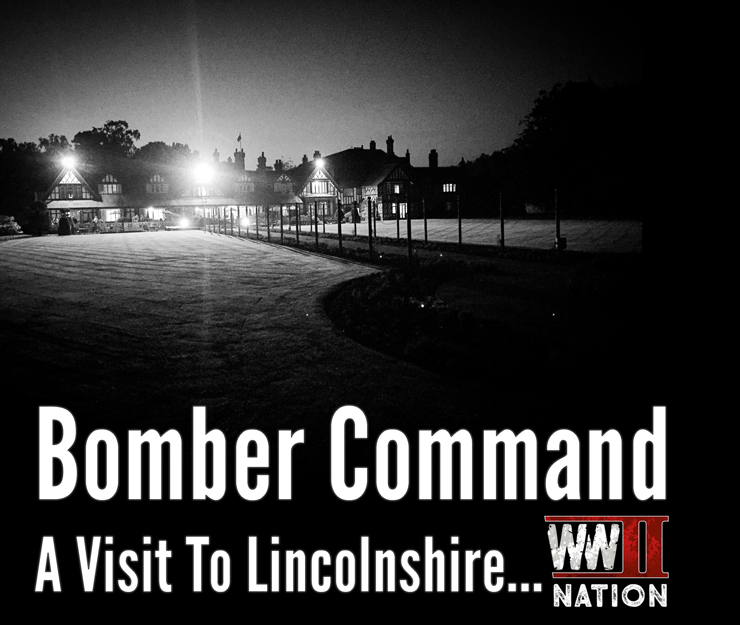 Our final day and arguably the part both of us had been eagerly anticipating the most, was a visit to the Lincolnshire Aviation Heritage Centre. Formerly home to both 57 and 630 Squadron during WW2, East Kirkby today houses one of the last surviving Lancaster aircraft in NX611, or as she is more commonly and affectionately known as Just Jane. Touring the entire site, including the remains of the old airfield, we spent our time utterly immersed and overawed at the award winning exhibits and in particular by being able to get up close to an original AVRO Lancaster, arguably one of Britain’s most iconic aircraft. 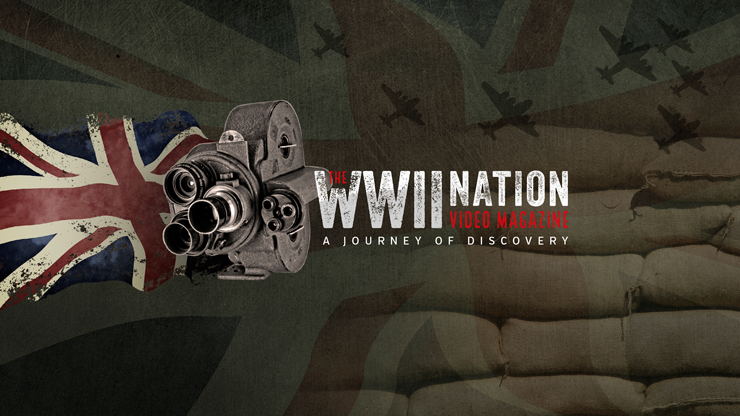 You can watch all this and much more in the first episode of our new Series on WW2 Nation which is coming out on YouTube on 3rd September.